The site also called on Africans to protect their resources including wildlife in the absence of government action on such threats to their natural wealth. 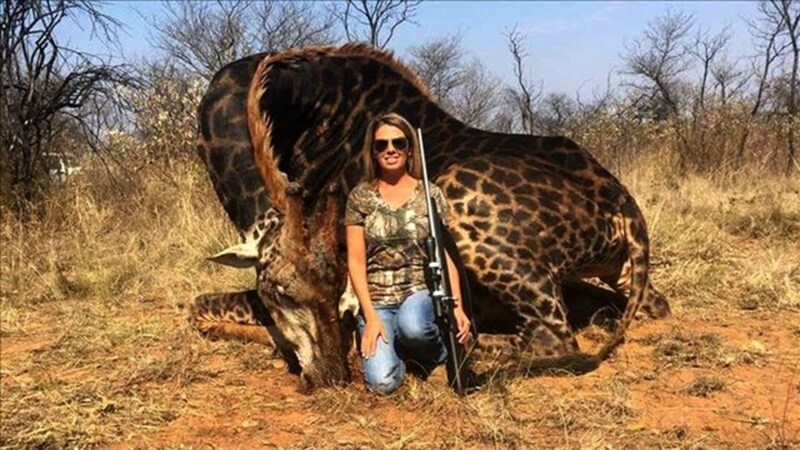 Social media users agreed with the site, with some slamming the tourism-related practice of allowing foreigners to hunt in Africa. Trophy hunting is a legally allowed in several African countries, including South Africa, Namibia, Zambia, and Zimbabwe. In any case, Talley is not the first American who has faced criticisms for hunting wildlife animals in Africa. Minnesota dentist Walter Palmer faced international scrutiny after killing the beloved "Cecil the Lion" near a national park in Zimbabwe in 2015. If the huntress hadn't paid to shoot and shot the animal herself, the game control would have done it. The animal was 18 years old, past breeding age, and had just fought and killed 3 young males that would have contributed to breeding within the herd. What she did was not illegal (not that that alone makes it right), but she also paid for the privilege to do so. yeah get over it… unless they have it legally banned.